We’ve updated our site templates over the years and the information it contains may not appear as originally intended. Sorry about that. Do follow the links for coverage of the 2019 local elections. The structure of Turkish local government was radically changed ahead of this election. Before 2014, a municipality’s borders did not necessarily overlap with the borders of its host province. Often the biggest municipality covered only the province’s central district (coloured teal on the map), which tended to correspond to the main urban area. 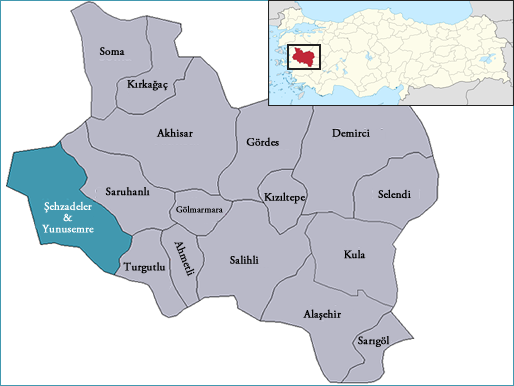 For the 2014 election, municipal borders in Turkey’s 30 largest provinces — known as büyükşehir — were enlarged to overlap precisely with the province borders. This added all other districts in the province (coloured grey on the map) and new demographic to the electoral roll. People living in smaller towns, villages and rural areas found themselves voting for the main city’s mayor — in addition to their existing local mayor — for the first time. 1 figure = 25,000 voters. All numbers correct on 1 March.